Spanish Game Developers, Sons of a Bit are bringing their game, Islabomba to the Nintendo Switch some time this year. The game sees three characters; A Rabbit, a Turtle and a penguin, having to use their unique skills in order to defuse bombs. You can check out the official press release below. The game studio Sons of a Bit presents the version of Islabomba for Nintendo Switch, together with its announcement trailer, which will release in 2018 and will make an intensive use of the main features of the hybrid console. Sons of a Bit has paid special attention to this version, since it will use different characteristics such as HD Rumble, move controls and online matches in all the game modes. 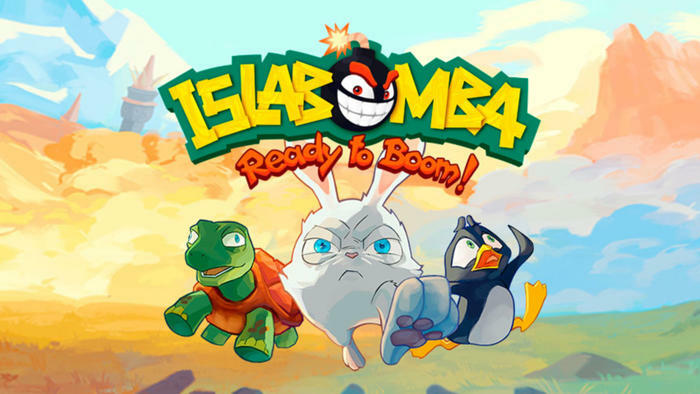 Islabomba is a challenging cooperative 2.5D puzzle-platformer in which Torito Rabbit, Dany Turtle and Alex Penguin have to combine their unique skills to put bombs out before they explode throughout over 100 levels in which teamwork is the key. Hilarious enemies, collectible items, crazy skins, amazing cut-scenes and spectacular boss battles await. Apart from the classic Story Mode, Islabomba also includes some Party Game modes: Arcade, Battle and Mini Games (Basket, Volley and Puzzle) for up to 6 players local and online. This very same year, Sons of a Bit will release Islabomba – Ready to Boom, produced by Rovio (makers of Angry Birds) and exclusively for Hatch, a new mobile game streaming service. This version of Islabomba is an arcade online multiplayer game with mechanics and levels designed exclusively for the occasion. Ready to Boom will offer quick matches in which players will have to cooperate to complete rounds of 3 levels full of puzzles and platforms. Furthermore, Sons of a Bit will also launch Kluest this year, a new project radically different from the games the studio has worked on so far and a great step forward in its consolidation as a relevant studio worldwide.